The building trade is becoming increasingly popular. This has been since the introduction of ‘work and earn’ learning incentives such as apprenticeships. Another contributing factor to this growing trade is the pressure on governments to build more housing. The UK simply does not have enough homes to house everyone living here. Combine this with the low mortgage interest rates which have also made the demand for property much higher and you can see why it’s such a valuable trade. Builders undertake a variety of roles under their humble title and are often thought of as the glue that holds a construction project together. It is therefore imperative that builders have a trusty and reliable vehicle. The ability to get from job to job and between trade suppliers and site is essential. Because a builder typically sets their hand to most construction efforts they will need to be prepared with a full toolkit and enough space for the materials to fulfil a wide variety of jobs. A builder can construct anything from a garage, extension, even a home built from scratch so you can imagine the variety of materials needed to cover all of these jobs. Therefore their vehicle requirements can be a challenging consideration. Deciding between a pickup van, a long wheelbase panel van or even a flatbed is hard. It throws up a whole load of questions. But don’t worry we’re here to help solve the puzzle and recommend our top vans for builders. All of the vans we’ve included on our list are considered to be light commercial vehicles (LCV’s). Drivers of light commercial vehicles enjoy a Benefit in Kind liability (otherwise known as BIK). 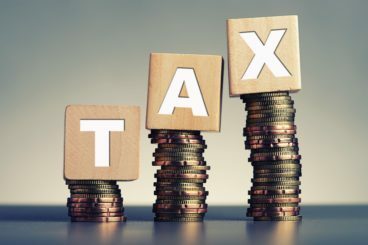 As an example, if you are a standard rate taxpayer (20%) and you drive one of the cars on this list such as the Mercedes Sprinter then you can save around £2900 a year in BIK tax payments. That’s the equivalent of £241 per month. There are a few other rules to BIK tax. We’ve rounded these up for you below. Unlike BIK tax for cars which operates on a sliding scale depending on the emissions. P11D value and tax bracket. Van BIK tax operates on a fixed BIK rate of £3150. Instead, there is a fixed BIK rate, this is £3150. So, say you are in the 20% tax rate, then you will be paying 20% of £3150. This is £630 a year or £52.50 a month. If you use your van for private mileage too then your BIK liability is £3,000 x your marginal tax rate. As an example, a 20% rate taxpayer would pay £630 per year and a 40% rate taxpayer would pay £1,260 per year. If you use your commercial vehicle for business purposes only then you have no BIK tax liability at all. This includes travelling from your home to work. 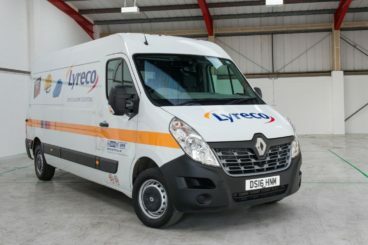 There’s not only the significant benefit of BIK when choosing a light commercial van, Class 1A National Insurance Contributions are also reduced on Light Commercial Vehicles compared to a car. Your Light Commercial Vehicle also qualifies for VAT reclaim. So, if the builder’s business is VAT registered then you can claim back the VAT. 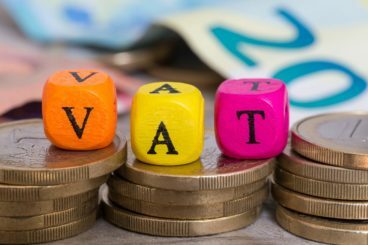 If the van is partially used for personal miles then you would only be able to reclaim the VAT back on the percentage of business use the van gets. Did you know that you can even reclaim the VAT when the van is part of a Contract Hire or leasing agreement? Car tax, otherwise known as Vehicle Excise Duty is set at a standard rate of £200 per year. Regardless of the CO2 emissions! 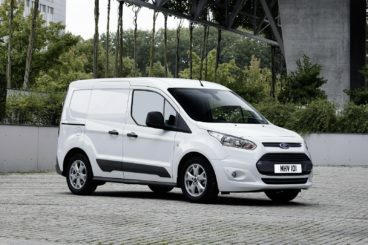 What type of van for builders? Similar in size to a medium-sized car these small vans are designed to carry materials so you are provided with a decent amount of load space. These vans have probably the lowest running costs of the group and offer excellent fuel economy. Being that they are a similar size to a car they are easy to drive, park and manoeuvre around busy towns and Cities. SWB stands for short wheelbase and reflects the length of the van itself. These panel vans tend to provide the option of rear and side loading plus a bigger load and cargo space. Not only that they typically come with a good range of creature comforts in the cabin such as air conditioning. Most come in a medium turbo engine so they’re fuel efficient too. For heavier, longer or generally larger loads a long wheelbase vehicle could be the perfect solution. The maximum weight of the laden down van is 3.5 tonnes which is fairly generous for your needs as a builder. 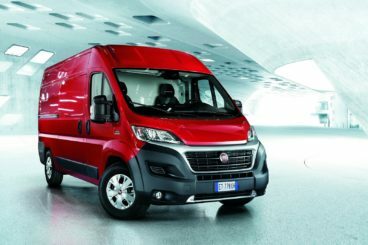 With a bigger van comes higher fuel consumption and a higher initial cost. However, being prepared for the growth of your business now and ensuring your van can carry bulky loads is a good move. A dropside truck makes loading up the van as simple as tying shoelaces. They are great for bulky or awkwardly shaped materials because they offer a large flat open area to load which is then secured by sideboard units all the way around. The side units are easily folded up and down for super easy loading. Now that you’re familiar with the different types of van it’s time to choose the right one for you. Our top 3 are…. Many people forget that Mercedes offer a range of commercial vehicles. It isn’t exactly what they are renowned for. That being said, the Sprinter is a well-designed beast. 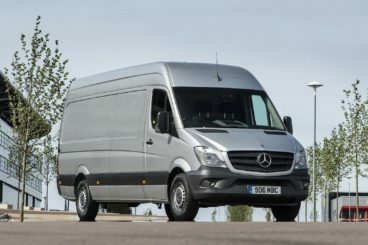 Regularly coming second in various National awards the Sprinter is a solid choice for a large panel van if you can warrant the higher price tag. 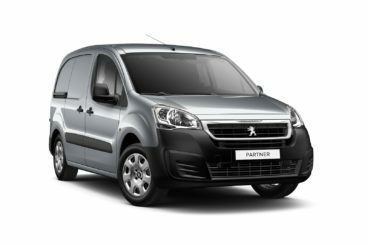 If you decide that a smaller van is best suited to your business then you can do worse than checking out the Peugeot Partner. Considered as one of the best options for builders because of its practical loading capabilities. Not only that, the Partner is very economical to run. The iconic trades van. 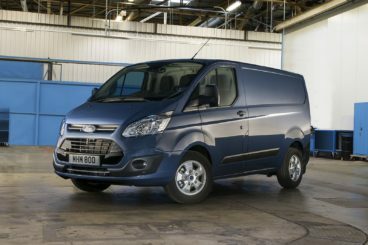 The Ford Transit is hard to miss and you’ll find it on most lists regarding which van to buy. It is simply the UK’s favourite van and we can see why. It comes with a range of features and options for long wheelbase, short wheelbase, side loading and more! Not only that, it offers a comfortable ride and a suite of technology that makes driving the Transit an absolute joy. Now that you have all the information you need to help you choose the best van for builders. Happy van hunting!